Remember CRISPI corn and potato snacks? Nope me neither. 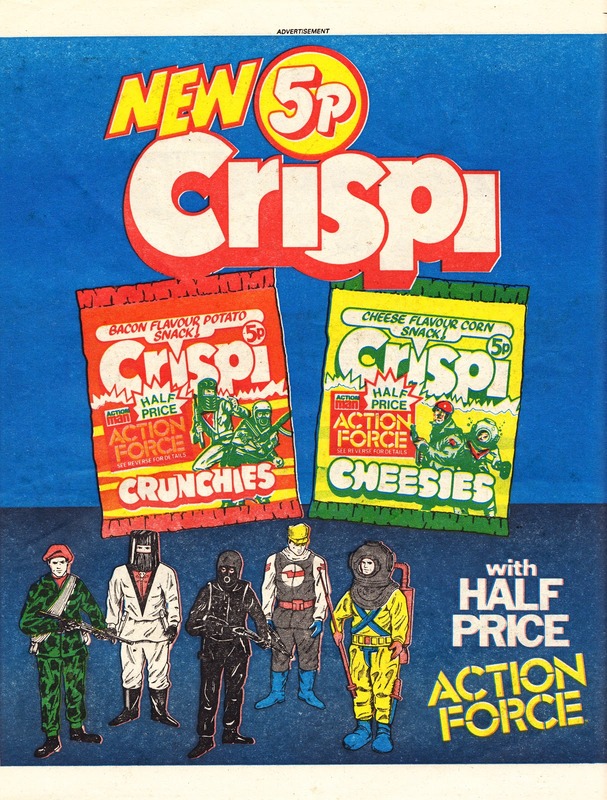 But, way back in 1982, buyers of these, no-doubt delicious, packets of processed snack stuff could acquire ACTION FORCE figures for half price. Which begs the question: how many 5p packs did you have to eat to get the discount? And how much did it contribute to Britain's obesity problem? This full-page advert appeared in the EAGLE (and no doubt other IPC weeklies) in October 1983.